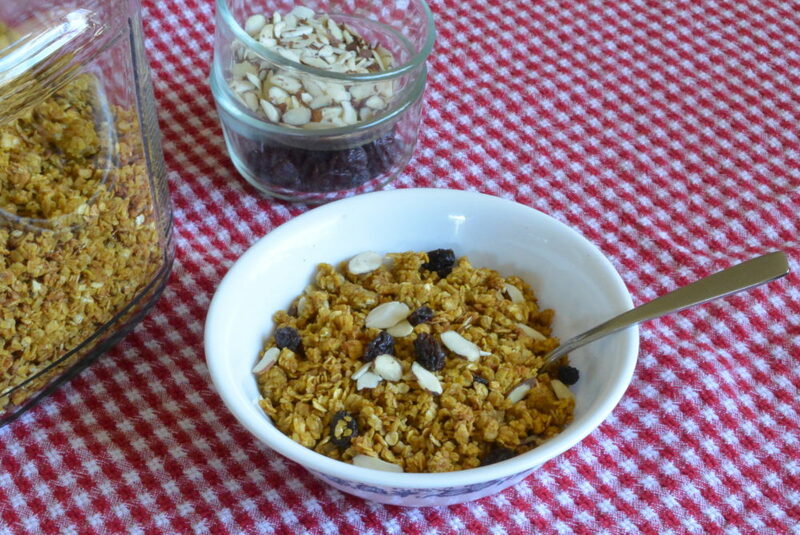 A delicious pumpkin spice breakfast granola cereal that can also be a handy snack anytime. Mix the brown sugar, vegetable oil, pumpkin, cinnamon, nutmeg, and salt together in a large bowl. Stir in the oatmeal. Spread out on a large ungreased baking pan. Bake for an hour to hour and a half, stirring every 20 minutes to keep the granola from browning. Serve with milk. Garnish with raisins and almonds if desired.